In the modern world home security is an important issue. As global tensions rise there are increased risks to security at home and abroad. It is important to do anything you can to protect your property, installing home security lights is an excellent starting point. However, you should always consider having an electrical inspection completed after you have installed them to make sure they comply with code and are safe to use! Before you even purchase your lights you need to think about where you will be fitting them. 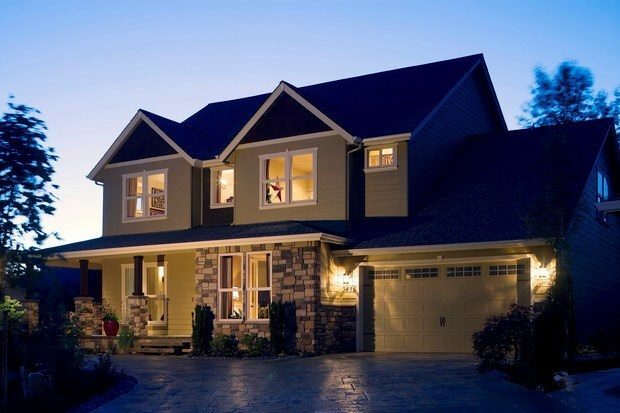 Security lights should illuminate your entrances and exits. This will help to see anyone lurking outside your home when you get back late at night. However, depending on the size of your yard you may also need to consider adding some at key entrance points to your property. You should work out the approximate trigger angle for each light as this will help you to decide where they should be positioned and how many you need. You then need to consider which type of light you would like. Obviously they need to have a sensor and be mains powered. Of course the lights will need to be approved for outdoor use in all weathers. However, you need to consider whether a floodlight is most appropriate or something a little dimmer. While a floodlight will provide the most deterrent and allow you to see any intruder, it may also annoy your neighbors, especially if the local cat sets it off. Consider what the light will be facing before you decide on the best power level for your needs. There are two elements to safety. The first is that you consider what equipment you will need to install the lights. This will usually include a ladder and you will need to drill into walls. You will therefore need a helper to hold the ladder and a wire detector to make sure you are not about to drill into an existing circuit. You also need to consider your safety in regards to the electrical products you are installing. You should never connect them to, or turn on the mains until you have finished installing them all. A radial circuit should be sufficient but you will need to check your local building codes to confirm this. A wire needs to be run from your fuse box behind your walls or under your floor until you reach the first lighting point. It will then need to come through the wall and into the light, complete with sensor. You might find it easier to go into the loft space and out through the eaves. The cable can then be fed to the other lights and connected to each before you connect it to the fuse box. However, the cable should not be visible. If it is then it can be easily cut and your security light will not work!